The Speaker Law Firm is an appellate boutique law firm representing clients in the Michigan and federal appellate courts. Our unique appellate experience and comprehensive understanding of the appellate process offers clients superior written and oral advocacy. 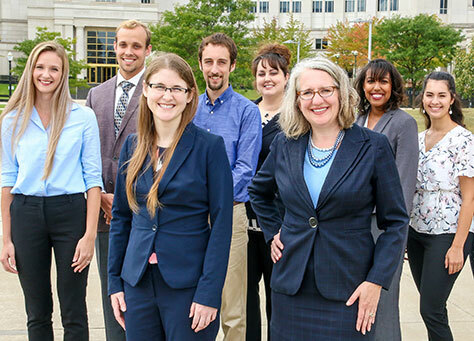 Speaker Law Firm works with trial attorneys and directly with litigants from all over the State of Michigan to provide exceptional representation in their appeals. Liisa Speaker founded Speaker Law Firm in April 2007. It is the only appellate boutique in mid-Michigan. The attorneys at Speaker Law Firm have extensive experience before state and federal appellate courts, but also strive to bring a pragmatic view to their client's cases.